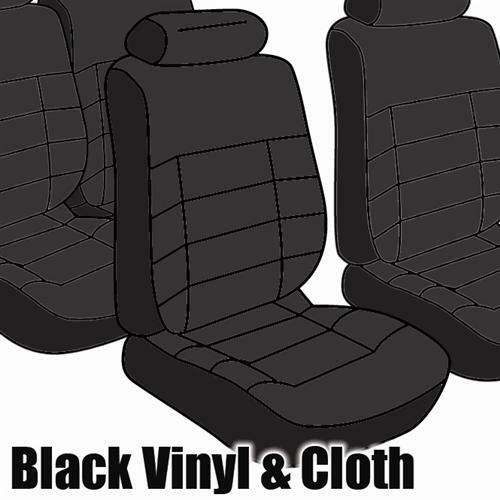 We no longer carry the 1983 Mustang TMI Seat Upholstery, Standard Low Back Black Cloth Coupe. This reproduction Mustang Seat Upholstery is intended for GLX trim level 1983 Mustang Coupe with low back front bucket seats. The upholstery features vinyl back & sides with a velour seating surface. The color is Black & is correct for interior trim code FA. Low Back front seats have a small headrest. This standard cloth upholstery kit features OE style patterns to match the seats that your Mustang came with from the factory. The material used is the closest currently available match.